The NYYC Annual Regatta presented by Rolex gets underway with the Around-the-Island Race (scored as a standalone race) on Friday, June 12. The traditional two-day series is Saturday and Sunday, June 13 & 14. 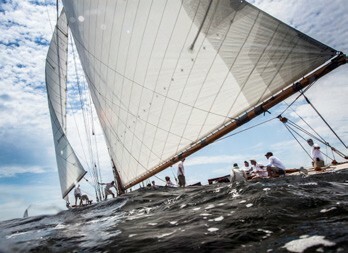 Yachts racing under the IRC handicap, in the Classics division, or as part of an invited one-design class, will sail drop-mark races on Rhode Island Sound or Narragansett Bay.